Bailieborough News. November 19th 2018. Matthew J. Cullen. Break-in at Parochial House: In the early hours of Sunday morning, the Gardaí in Bailieborough responded to an alarm activation at the Parochial House in Bailieborough. On arrival it became apparent a break – in had occurred. A follow up search of the grounds was conducted which resulted in the arrest of a man. He has been charged in connection with the incident and appeared at a special sitting of Monaghan District Court on Sunday evening. Annual Dog Walk: Bailieborough Veterinary Clinic are hosting their Annual Charity Dog Walk for the CSPCA on this Saturday 24th, November, commencing at 12pm. All welcome, with light refreshments and raffle prizes afterwards. Dogs must be on a lead during the event. Bailieborough Leisure Centre: Board of Management Annual General Meeting: The Bailieborough Leisure Centre’s Board of Management’s Annual General Meeting will take place on Thursday December 6th at 8.00pm in the Bailie Hotel. Nominations of persons wishing to seek election to the Board should reach Board Chairman, Paul Mc Fadden, by Friday, November 30th. Nominations should be left at reception for the attention of Paul Mc Fadden. ‘Science of Cancer’ a talk in Bailieborough Library by Dr Jade Pollock next Thursday, November 22nd at 7pm! We’re all familiar with the word ‘Cancer’ but do we know how one of the deadliest diseases begins in cells? Come to the talk to learn about common myths about cancer, the role of pharmaceutical companies, ideal diet and learn about new advances in cancer research. All welcome to this FREE presentation! St. Vincent DePaul ‘Fashion Show’: The Bailieborough branch of the St Vincent’s de Paul are hosting a ‘Fashion Show’ on Thursday 29th, of November at 7.30pm in the Hotel Bailie. Doors will open at 7.15pm and we will be modelling a vast array of the clothes, that are for sale in the shop on Main St. Tickets for the event are priced at €10 for a fantastic, fun filled evening ending with a disco after the Fashion Show until 12.30am. There will be an opportunity to buy after the show, so you can have a special Christmas outfit at a very reasonable price! We look forward to seeing you there and your support would be greatly appreciated. Tickets are available from the Hotel reception or the Bailieborough St. Vincent de Paul on Main St.
Bridge: Bridge Results for Tuesday, 13th, November 2018: First: Patti and Ita Clarke, Second: Pauline McEvoy and Kathleen McArdle. Best Gross: Patsy Corcoran and Teresa O’Reilly. Bailieborough School of Music: Lotto results for 17-11-2018. Numbers Drawn; 1, 15, 17, 27. No Jackpot Winner, Lucky Dip (€25) Winners; Sean and Damien, Galbolie; Dingo; Peter Tully; Eddie Farrelly. Jackpot next week, €1,800. Mass of Remembrance: The Annual Mass of Remembrance for all those who have died from the local community and for their bereaved families will take place on Saturday evening, November 24th in St. Anne’s Church at 7.00pm. School Enrolment: East Knockbride National School Enrolment for 2019/2020 school year – Open Information Evening in the School on Wednesday 21st November 2018 between 7pm and 8pm. Parents and Children welcome to attend. Congratulations and Well Done: Congratulations and well done to the Bailieborough Shamrocks Minor Camogie team who defeated Drumgoon by 6.13 to 0.02 points in the Minor Division 2 Championship Final on Saturday last in Drumgoon. Well done to all the players, selectors, manager and sponsors on this great achievement. Congratulations and well done also to the Shamrock’s Under 13 Boys Division 5 Team who defeated Mullahoran by 6—9 to 2—8 in the Championship Final on Tuesday last on the 3G Kingspan Breffni. Great achievement for the Shamrocks Club doing the double at this age group! Citizen’s Information: The service continues on every Tuesday, at 1.30pm in the Library— providing information, advice and advocacy supports to everyone on Social welfare, employment, Pensions, Health, Tax etc. No appointment necessary. Storytime and Christmas Crafting: As part of the Christmas Lights switch-on, taking place on Saturday, December 1st, Bailieborough Library are having a Story Time and Crafts day. Christmas Storytime for children aged between 4 and 8 from 2.30pm to 3.1pm and Christmas Crafting (Booking Essential) from 3.30pm to 4.30pm. Please come along and support. Art Competition Winners: Congratulations to all the Art Competition Winners who took part in this year’s Link Credit Union Art Competition, whose theme was: ‘The Force of Nature’. Second: Katie Shevlin – The Model National School, Third: Nadine McKenna – Muff Laragh National School. 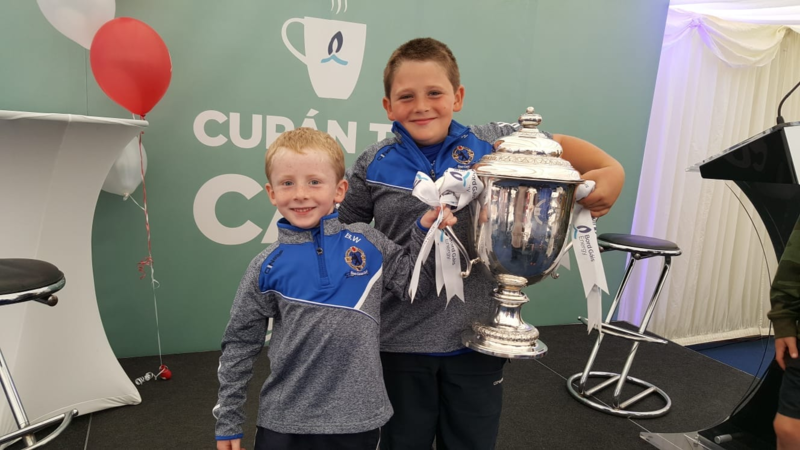 Aged 7 and under (special category): First: Shea Daly – St. Anne’s National School, Second: Nicola McGauran – Ballinamoney National School and Third: Joshua McGlynn – St. Anne’s National School. Aged 8-10: First: Samantha Nicole Carolan – Carlanstown N.S., Second: Emma Gavins – St. Anne’s National School and Third: Emily Martin – The Model School. Aged 8-10 (special category): First: Charlie Geraghty – St Patrick’s, Ughtyneil NS, Second: Katie Clay – St. Anne’s NS and Third: Saoirse O Neill – St. Killian’s NS. Aged 11-13: First: Alexandra Kocis – St. Joseph’s NS, Second: Kelsey Buckland – Morris – Colaiste Dun na Ri and Third: Binh Hanratty – Colaiste Dun na Ri. Aged 11-13 (special category): First: Calum Reilly – St. Annes NS, Second: Milosz Tomczyk – Colaiste Dun na Ri and Third: Chantelle Martin – The Model School. Aged 14-17: First: Jessica Dunne – Bailieborough Community School, Second: Tatianna Ormiston – Eureka School and Third: Aoife Sherriff – Colaiste Dun na Ri. Aged 14-17 (special Category): First: Ronin Madden – Colaiste Dun na Ri. 18+: First: Paula O Reilly – Moynalty Art Group and Second: Olivia Larkin. Library: A beautiful selection of art from the Tyrone Guthrie Centre in Annaghmakerrig is currently on show at the Library until the end of November. Do drop in to visit! Bailieborough Community Alert: Bailieborough Community Alert are hosting a ‘Property Marking Event’ from Thursday, November 29th to Tuesday, December 4th. The machine will visit different townlands and areas and booking is essential as there is limited availability. Call Alison on 089 439 5654 to book a slot, when the machine is in your area. You must submit your Eircode. For further details please contact Kevin Carolan, Pine Grove or Seamus Sheridan, Kells Road. Class of 1993—Bailieborough Community School: 25 years since we left the Community School! Reunion is planned for Saturday, December 29th. See Facebook page (Bailieborough Community School Class of 93 Reunion) or text Lisa Hanna (nee Monaghan) at 087 915 0004 to confirm your interest. Looking forward to a great catch up! ‘Night Walk’: Thank You to everyone who took part in the recent ‘Night Walk’ on October 26th last, in aid of Parkinson’s Disease and Aware. €750 was raised for these worthy causes. Bailieborough ‘Lend A Hand’: ‘Lend a Hand’ is for the elderly and vulnerable in the Bailieborough area. Just give us a call if you need a job done, or even just a chat. Phone Ann on 042 9694825. Beginners Yoga in Bailieborough Leisure Centre: Every Saturday from 9.30am to 10.30am. Bring a Yoga mat and an open mind. Wear comfortable clothing. Contact Darren Clarke 086 846 9581 or darrenclarke@campue.ie for further information. Bailieborough Indoor Bowls: Indoor Bowls continues on Wednesdays, at 8.00pm, in the Community Centre. New members are always most welcome. Baptism Dates in St. Annes for November and December 2018: The following are the available dates for Baptisms in St. Anne’s Church–November 25th (Sunday, 12.30pm), December 15th (Saturday 1.30pm) and December 23rd (Sunday. 12.30pm). hosted by Active Agri Association. All Vehicles must be—roadworthy and fully insured— welcome. (Lorries, Tractors, Vans, Cars and Bikes). Proceeds for the Children’s Ward in Cavan General Hospital. Starting from Killinkere Leisure Centre at 4pm Sharp. Registration €20 from 12 noon on the day. Kids Peddle Tractor Parade at 2pm /Raffle on the day. Live music by ‘Mad 4 Trad’ following the Run. Floyd McNeill (086) 8739323, Gerard McCann (087) 2268659 or Peter O’Reilly (087)2734338. Bailieborough Library: Craft Group every Friday 10.30am-1pm; Book Club 6pm-7pm last Thursday of every month; Lit Lab writers group every second Tuesday. Contact 042 9665779 for details on any of the above. Under 7/9/11; All back in full swing now. Thursday in Kingscourt and Friday two groups in Bailieborough. Great to see lots of new men joining our ranks this season which is our tenth indoor season hurling. 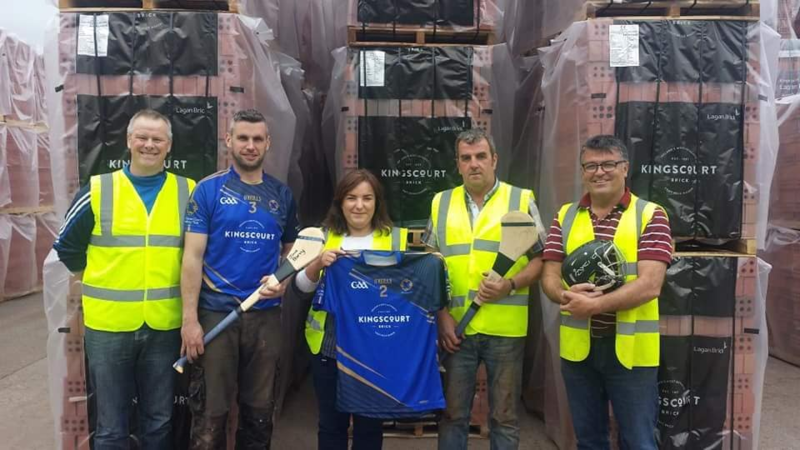 Jerseys/training tops from most of the local GAA clubs on show, Bailieborough Shamrocks, Kingscourt Stars, Killinkere, Knockbride, Shercock, Cuchulainns (Mullagh) all setting aside their football rivalry to give hurling a shot in the arm. All are very welcome. Indoors will run through all the way to early June 2019 so plenty of time to catch the bug! Equipment supplied to those who don’t have any yet while learning with us. No Kingscourt group training this coming Thursday as the local trade fair have the hall for this week. See you next week. Under 13; These lads are now finished for the year. We would like to thank them for their commitment this year and congratulate those who won both Feile and U15 league this year. Lots of promise in this squad which we hope will continue into 2019. Thanks to our coaches Colin, Ben and Willie for all their work all year. Under 15; These lads are now also finished for the year. 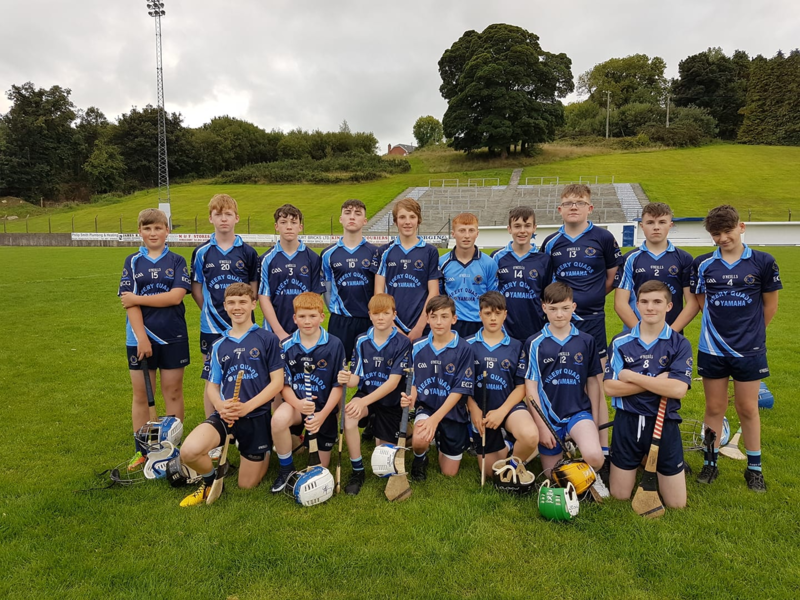 We thank them for their continuing commitment and recognise their success in both Feile and in the Monaghan league and were only a puck of the ball away from the Cavan Championship. We look forward to 2019 with these lads. Well done. Senior; Again these lads are now finished for the year. Planning for 2019 is well under way. Thursday; No Kingscourt group this week due to trade fair. Friday; Indoor hurling in Bailieborough Community School Sports Hall tbc. U7/9 from 6-7 and U11 from 7-8. €3 each and water bottle also. Cavan Institute: Cavan Institute is holding an ‘Information Day’ for post primary students on Saturday, November 24th from 12 noon to 4.00pm in its Cathedral Road Campus. This will be a great opportunity to discuss career and progression options. For further information, please contact 049 43 32633. Christmas Craft Fair: Christmas Craft and Gift Fair, Sunday 9th December, Slieve Russell Hotel, 12-5pm, free admission. Bailieborough Cancer Comfort Ltd: The Bailieborough Cancer Comfort Ltd Committee is available to help cancer patients or their families. Free Taxi service available. For further information, contact: Michael Cullen 087 154 2447 or Edel Fox 086 1004030.
http://bailieborough.com/wp-content/uploads/2015/09/bborocomlogo2015-300x130.png 0 0 Lee McDonnell http://bailieborough.com/wp-content/uploads/2015/09/bborocomlogo2015-300x130.png Lee McDonnell2018-11-21 12:21:072018-11-21 12:21:07Bailieborough News. November 19th 2018. Matthew J. Cullen. The Bailieborough Poetry Festival officially opens on Thursday 4th of October in Bailieborough Library at 7pm. This will include the official opening of the Art Exhibition by Ruth McDonnell in the Library Arts space which runs in conjunction with the Festival. Members of LitLab writing group have been collaborating with the artist and will read some poems inspired by her artworks. On Thursday the 6th of September, the Bailieborough Mental Health Association had their annual AGM in the Bailie Hotel and after many long years Winston Turner decided to retire as the Chairperson of the Bailieborough Mental Health Association, This was a very sad day for the association as Winston had served so well and done a fantastic job as the Chairperson but it is has given us the ability to bring the Association into a new era as, there was elected a great and energetic new Chairperson Colm Colgan, Vice-Chairperson Séan McKiernan, the current Treasurer stays on Ann Hanley, Audrey Rogers remains as secretary being assisted by Johnny Kerins who also be in charge of our social media accounts, we look forward to keeping all of you up to date on what events we have coming up. ‘Hardtimes Chorus’ are delighted to announce of their upcoming concert, ‘A Million Dreams’ in aid of the Down Syndrome Centre North East. It will be held in St Annes Church on Friday evening, 28th September 2018 at 8.30pm. The Down Syndrome Centre North East has been set up by a group of parents to provide essential services, information and support to people with Down Syndrome and their families living in the North East. The centre is due to open its doors in October 2018 in Carrickmacross, Co Monaghan. Tickets are now available in SuperValu, the Bailie Hotel, Bailie Stores, Turning Head’s Hair Salon and St Anne’s Parish Office during office hours. Please Come Along and support. Come join us in a 5km or 10km Run, Walk or Crawl for ‘Feileacain’ and ‘A Little Lifetime Foundation’—both charities support anyone who has lost a baby in pregnancy or after— in memory of Orla Dean’s grand- daughter Grace, who gained her wings far too soon, on Saturday, September 22nd. They are both amazing charities and every cent raised will go towards supporting families affected by the death of a baby during or after pregnancy. Registration for the event will open at 11am at Bailieborough Community Centre and the event will start at 12pm. Registration prices are; €5—5km, €10—10km and €15 for Families. Everyone who registers will be entered into a raffle on the day. Tea and Sandwiches will be served back at the Community Centre after the event. Really hope to see you there! All support is greatly appreciated. Are you a family carer? Family Carer Support Group’s first meeting will be on Wednesday 12th September from 11am-1pm and every second Wednesday after that at Bailieborough Library. All carers welcome. Do drop in and say Hello! Spanish Lessons for Primary School Children, from Junior infants to 6th class. Different groups available. Also, Adult group Lessons available every Tuesday and Wednesday. All lessons are now taking place in the Bailieboro Business Centre (besides the playground) for more information or to register please contact Lydia on 0877414735. A huge thanks to Paul Cooney Junior for raising €1500 by having his head shaved in Nixy’s Square Bar on All Ireland Sunday. This money along with the Quiz and Sponsorship that Brendan Shevlin organised brings the total to €2700. All this money is going to Haven Charity Haiti. Brendan is travelling to Haiti on 15th September to build Chicken Houses as part of this charity. A huge thanks to all who sponsored and gave money along the way to help Brendan raise funds for this great cause. Irish dance classes with World Champions Aishling and Emma Fox will resume on Wednesday, 5th September at 6pm in Tierworker Hall. For more information, please contact Aishling or Emma on (087) 9699235, (087) 2059128. All newcomers welcome. Work is ongoing on replacing the water hydrant on Adelaide Row in Bailieborough which was damaged earlier this summer. The hydrant should be back in place and working before the weekend. Work is also continuing on the footpaths on the corner of Church Street and should be completed soon. Pilates resuming in Bailieboro Trinity Hall on Tuesdays. Classes at 6.15pm and 7.30pm. Suitable for all levels of fitness, booking essential. Please call Anne 087 2601454. Thank you to all who attended the Blessing of the Graves in St. Anne’s Cemetery on Sunday, September 2nd. As usual there was a very large crowd in attendance. Thank you to the Church stewards who managed the parking and traffic very well and to the Pastoral Council who organised the ceremony and who, along with members of the Finance Committee, took up the collection, which this year thanks to your generous contributions amounted to €3921.46. Thank you also to the members of the Community Employment Scheme who had the cemetery looking so well, to the readers, the local Legion of Mary who led the Rosary, to Tommy McCloskey who played a beautiful instrumental piece during the service and to Fr. Martin Gilcreest for his assistance. The service continues on every Tuesday, at 1.30pm in the Library. Congratulations to Lisa Cullen, Woodview and Brendan Byrne, Magheracloone, who were married in St. Anne’s Church on Saturday last, September 8th. Practice for the Folk Choir take place every Tuesday evening at 8.15pm, in St. Anne’s Church. The future of the Choir depends greatly on the involvement of the parishioners in our Church, so new members would be very much appreciated and welcomed. ‘Vincent’s Shop’ on Main St., are urgently seeking Gents Clothing and any paper or plastic bags, that they can use in the shop. Thank you for all the kind donations of clothes, toys and bric-a-brac and for generously buying from the shop. All money raised is used for local deserving causes. The Bailieborough Social Day Centre returns on Wednesday, September 12th in the Community Centre from 2.30pm to 4.30pm. Hoping to see some new faces for fun, entertainment and outings, etc… All welcome. Featuring special guests Michael Gallen, Gerry Hodgers, Ollie Gargan, The Giant Wolf Theatre Company and Leona Daly. The Open Door Sessions, Bailieborough’s free monthly arts and music night is hosting a special gathering of talented musicians and artists from 8.30pm to celebrate Culture Night on Friday 21st September, in Nixy’s Bar, The Square, Bailieborough. Well into its second year, The Open Door Sessions continues to host new, original music and arts on a monthly basis. Culture Night is an expansion of the Sessions regular programme of talented, established and up-and-coming musicians and artists. If you haven’t attended before this is a great opportunity to try it out. Admission to The Open Door Sessions is free and you are welcome to come along to support and enjoy some of the extraordinary talents that exist within our country. Sunday 16 September: Bailieborough 10:45am – Morning Prayer and Sunday Club, followed by tea and coffee. Knockbride 12noon – All-Age Service. Saturday 22nd September: Bailieborough Hall 2-4pm – ‘Messy Church Harvest’. Sunday 23 September: Bailieborough 10:45am – All-Age Service, followed by tea and coffee. Sunday 30 September: United Service in Mullagh 10:30am – All-Age Service followed by tea and coffee. Sunday 30 September: Harvest Service, Knockbride Church 7:30pm. Indoor Bowls resumes on Wednesday, September 12th at 8.00pm, in the Community Centre. New members are always most welcome. The following are the available dates for Baptisms in St. Anne’s Church–September 15th (Saturday, 1.30pm), September 23rd (Sunday, 12.30pm) October 6th (Saturday, 1.30pm), October 28th (Sunday, 12.30pm), November 10th (Saturday, 1.30pm), November 25th (Sunday, 12.30pm), December 15th (Saturday 1.30pm) and December 23rd (Sunday. 12.30pm). Preparations are well underway for this year’s Memorial/Charity Drive. The Drive will be taking place in Bailieborough at The Hideout on Sunday, the 23rd September, starting at 2pm. This year we are raising money for Cavan/Monaghan Palliative Care. On the day there will be refreshments, raffle, auction and music. The Noel McDermott Perpetual Plaque and The Sean McQuillan Memorial Cup will be presented on the day to ‘the best turned out’ Ponies. We look forward to seeing everyone there to support a very worthy cause. Under 7/9; Outdoor hurling now finished for the year. Thanks to all who came out especially during the school holidays which we ran for the first time this year and thanks to those who attended camp. Indoor hurling will return in the next few weeks which will run to May 2019! Watch this space for info. Under 13; Training on Monday with the U15s in Killann at 7pm. Under 15; Last round of the Monaghan League v leaders Castleblayney on Wednesday in Kingscourt at 6.30. We should be in the Shield Final coming up in a couple of weeks. Senior; Training Thursday 7pm. Venue tbc. Players will receive text. Cavan Senior Championship coming up end of the month. New players arriving each week which is positive and more are very welcome. The week ahead; Thursday; Adult training in Killann/ Kingscourt/Bailieborough 7pm tbc. 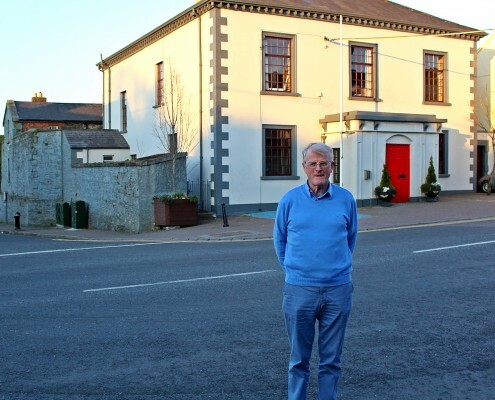 http://bailieborough.com/wp-content/uploads/2015/09/bborocomlogo2015-300x130.png 0 0 Lee McDonnell http://bailieborough.com/wp-content/uploads/2015/09/bborocomlogo2015-300x130.png Lee McDonnell2018-09-12 13:55:282018-09-12 13:55:28Bailieborough News. September 10th 2018. Matthew J. Cullen. The Festival will take place from 4th to 7th October 2018. The Bailieborough Poetry Prize 2018 is now open for entries. The Poetry Prize 2018 will be an open competition with a first prize of €300 for the winning poet. The judge this year is Noel Monahan and the closing date for the submission of entries is Monday next, September 10th, 2018. Full competition rules are available on the Bailieborough Poetry website. ‘Hardtimes Chorus’ are delighted to announce of their upcoming concert, ‘A Million Dreams’ in aid of the Down Syndrome Centre North East. It will be held in St Annes Church on Friday evening, 28th September 2018 at 8.30pm. The Down Syndrome Centre North East has been set up by a group of parents to provide essential services, information and support to people with Down Syndrome and their families living in the North East. The centre is due to open its doors in October 2018 in Carrickmacross, Co Monaghan. Please Come Along and support. Bailieborough Mental Health Association will be holding its Annual General Meeting on this Thursday evening, September 6th at 8.30 pm, in the Bailie Hotel. New members welcome. Deepest Sympathy is extended to Peter Crosby and family, Curkish on the recent death of Peter’s brother, Gerard (Carrickmacross). Gerard’s Funeral took place in St. Joseph’s Church, Carrickmacross on Monday last, August 27th. Wednesday, September 5th – Castle Lake (M) Walk 1.5 hours (E) Walk 1 hour. Walk commences at 7.15pm at Bailieborough Business Centre, Shercock Road, Bailieborough. This is the final walk of the season. All welcome. Lotto results for 01-09-2018. Numbers Drawn; 3, 13, 16, 22 No Jackpot Winner, Lucky Dip (€25) Winners; Gerard and Geraldine Larkin; James Gerard Kellett; Terry Smith; Declan McGuirk. Jackpot next week, €4,500. Pilates resuming in Bailieboro Trinity Hall on Tuesday September 11th, classes at 6.15pm and 7.30pm. Suitable for all levels of fitness, booking essential. Please call Anne 087 2601454. Bailieborough native, Norma MacMaster (née Jameson), will read from her book ‘Silence Under a Stone’ at the Library, on this Thursday September 6th at 7.30pm. All members of the community are invited to this FREE event! The Annual Balloon Release in Memory of our loved ones who died by Suicide, will be held at Lough Sillan Lake, Shercock on Friday 7th of September at 7.30pm, sharp. Please bring your own helium balloons. Songs will be sung and a few words said, to remember all our family and friends gone too soon, but never forgotten. All welcome. Well done again to Leanne Kiernan who scored twice for the Republic of Ireland Senior Ladies side in their 4-0 win over Northern Ireland on Friday evening last in Tallaght Stadium, in their FIFA 2019 World Cup qualifier. Leanne also got the ‘Three’ Player of the Match award for her outstanding performance. The annual St. Vincent DePaul Pilgrimage to Knock will take place on Saturday next, September 8th. A bus will be leaving the Community Centre at 8.30am. St. Felim’s, National School, The Vale, –Monday next, September 10th at 8.00pm and St. Anne’s, National School, Tuesday next, September 11th at 8.00pm. Saturday 8th September: Knockbride 2pm – ‘Through the Roof Harvest’(Harvest service for adults and children with learning difficulties and their carers). Sunday 9 September: Bailieborough 10:45am – Morning Prayer and Sunday Club, followed by tea and coffee. Hard Luck: Hard Luck but very well done to the Bailieborough Shamrock’s Senior Ladies Football Team and Management in their loss in the Intermediate Championship final on Saturday last. Great experience gained which should help out immensely next year. Pilates resumes in Bailieborough Leisure Centre the first week in September for 4 weeks, Wednesday mornings at 10am and Friday mornings at 6:30am. Also, morning and evening classes available at Cross, Mullagh. No training this week, all back to school! Last outdoor hurling next week. U7/9 match in Carrick Sunday morning at 10am tbc and U11 blitz on 3G Breffni Park Monday 10th at 7pm. We then prepare to move indoors. Above; ECGs Brién and Tómas Williams hold the All Ireland Hurling U21 trophy in the Gaelic grounds in Limerick last Sunday. Tómas had the honour of being a flag bearer as the teams entered the pitch. ECG zippy tops show well also. Well done lads! Under 15; The lads had a great win v Carrick in the Monaghan league last week. 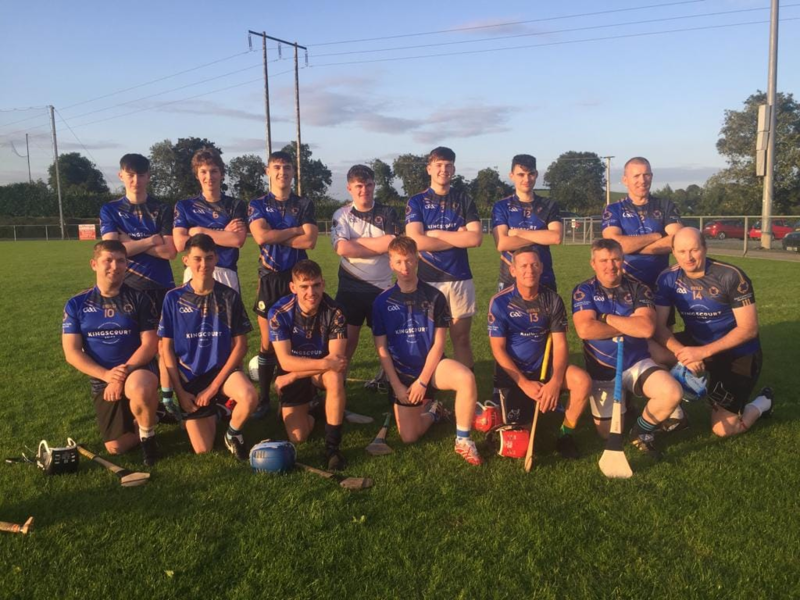 Senior hurling is now up and running. We had our very first match on Thursday last in Inniskeen, putting in a solid performance for a new side. We hope to have another challenge game this coming week as we prepare to enter the Cavan Senior Hurling Championship for the first time. New players especially welcome. Above; Thursdays historic first ever ECG senior side. Above; Special thanks to Lagan Brick for their kind sponsorship of senior jerseys for our new side. L-r; Willie Gaughan ECG, Barry Reilly Lagan Brick, Kathryn O’Flynn Secretary ECG, Gerry White Lagan Brick, Tony McCaffrey Lagan Brick. Monday; U13/15 training in Killann at 7pm. Thursday; Adult training in Killann or match in Kingscourt 7pm tbc. Sunday; U7/9 away to Carrick 10am tbc. http://bailieborough.com/wp-content/uploads/2015/09/bborocomlogo2015-300x130.png 0 0 Lee McDonnell http://bailieborough.com/wp-content/uploads/2015/09/bborocomlogo2015-300x130.png Lee McDonnell2018-09-05 15:12:252018-09-05 15:12:25Bailieborough News. September 3rd 2018. Matthew J. Cullen.